Cincinnati has on the average 132 days rain that brings us 42 “1/4 inches of rain For a little comparison of a few other cities Portland, OR has 39” and Seattle, WA comes in at about 38”. Atlanta comes in at 48 inches and Orlando Florida is just a touch over 53inches.That is almost 41/2 feet of rain. My Job is to help identify where the water is making entry into the structure of a home. 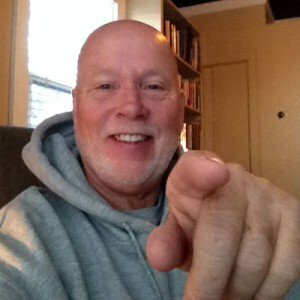 I want you to keep in mind, that there actually may be multiple points for water entry into the home. … One of three possibilities Area of Concern. Starting from the top of your roof it heir could be damaged or actually missing shingles. A Cricket is a pyramid design that flush rainwater around the backside of a chimney and into the gutter. Then there is the chimney flashing this is a metal collar that fits around the chimney that may have rusted out or damage by raccoon working to pull it back as they are making entry into your attic or maybe tree branches may have been rubbing against it. 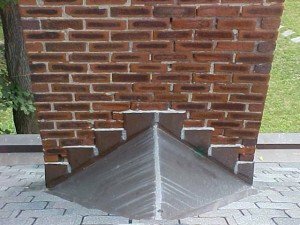 Metal chimney flashing wraps round the shape of the chimneystack preventing rainwater entry that is running down the roof top shingles. .. Just fix my water problem ……. is what I hear the most! 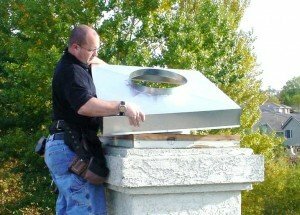 -Starting at the top of the chimney, it maybe called by a number of names such as the crown, cap, crown wash, splay or if it is made of metal it is refer to a as a metal chase cover. -The Crown of the chimney must be watertight. I often refer to it as the Icing on top of a cupcake. 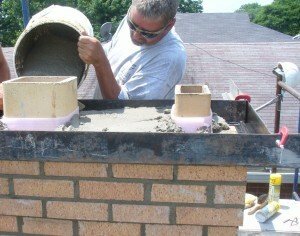 One of the biggest problems we see, is that during the rapid construction days of the 70’s, 80’s and 90’s that many of the masonry crowns were made of left over brick mortar that is a much softer material, than the properly required harder concrete that is needed to protect the brick on the chimney masonry. 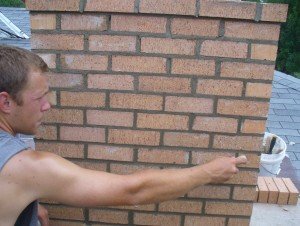 Masonry tuck-pointing is the process of replacing damaged or worn out mortar joints from the bricks on both the chimney, and any other masonry surface of your home. 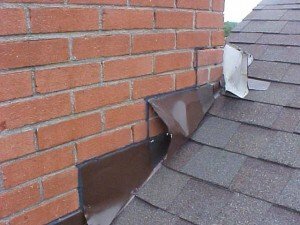 This is often a big problem that is found at the top the brick chimney as well as what is referred to as the corbels, which are hips or shaping on the outside of the chimney. 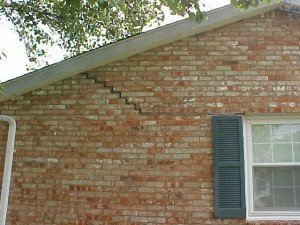 All of these damaged mortar joints need to be ground-out and filled back to prevent water from enters the home, We always want our work to blend in with the rest of the home as well as can be. We always use colored dye tints in our mortar.We do this so that our tuck-pointing work does not have that bright gray newly repaired look. Again “moisture is not your friend” as over hanging tree branches, and shrubs laying up against the house brick can bring big problem. 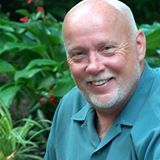 The same is true as we are watering our yards and shrubs in the summer, as well as repeated water sprinkling of the masonry brick surface over and over is very damaging. My 3rd and final Area of Concern; is the internal working of the chimney flue system. 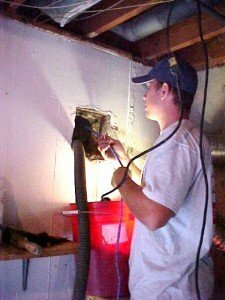 The flue system is designed to move hot gases from the hot water heater and furnace. For every100.000 BTU of natural gas that is burned, it produces about 1 gallon of water. Either it goes up the chimney or it will condensate and leak back down into the ceilings and wall of of living space or back into your basement. 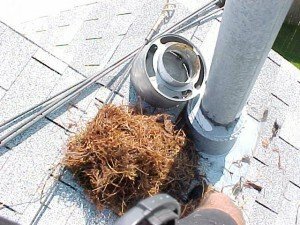 Your Chimney flue may have been improperly sized, for a new furnace or hot water heater replacement and possible water is now running out onto the basement floor . 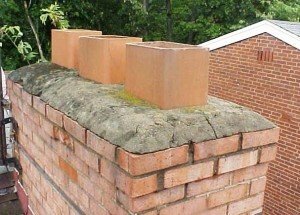 If the chimney flue is blocked this will also cause condensation water problems You may ask what could case this blockage, it could be broken chimney flue liners or bird nesting blockage/ This is why we always recommend a properly sized chimney cap along with a bird screening on every chimney top. To summaries all of this up for you, we have identified the water problems, and I have offered you some reasonable solutions. your locking up the house and preparing to go upstairs to bed, then you hear that voice coming from upstairs saying. ← What the Heck is a Sudden Occurrence Insurance Claim?